Even in a brokered convention, the odds of John Kasich getting the nomination for the Republican Party’s nominee for President are slim to none. Although he continues to deny aspirations of becoming the Vice-Presidential nominee, he is included in the short list of viable candidates. For that reason, his experience and positions on the issues, in particular illegal immigration, facing this country, deserve a closer look. Kasich opposes deporting illegal immigrants, who have not been convicted of a crime, stating, ”I think most Republicans would agree that you can’t deport 11 million people. We shouldn’t even think about it. What are you going to do? Break their families up?” He also advocates for an open borders-style policy where workers can come and go at will. Under this global one-world policy, as seen within the European Union, employers can hire willing workers from any country. Thus, making it more difficult for American workers to compete for jobs in their native country. Kasich first opposed, but now supports continuing birthright citizenship, whereby anyone born in this country, is automatically granted citizenship, regardless of the status of their parents. Although Kasich’s very lenient positions on illegal immigrants, who already reside in this country, project a more sympathetic tone, his stance is far away from the Republican base he claims to represent. Although his apparent beneficence is admirable, the problems with Kasich’s positions begin with the illegal population itself. A 2015 Census Bureau report from data collected in 2012, pointed out that 87% of illegal immigrant households with children were receiving federal welfare support. Last year, the Migration Policy Institute reported that 820,000 illegal aliens currently are residing in this country, and have already been tried and convicted for their crimes. Kasich does support closing the border with Mexico and deporting illegal aliens who attempt to enter this country after the wall is completed. Allowing birthright citizenship to continue, which Kasich now supports, adds over $58 billion/year a year in federal obligations. The most overlooked problems that arise out of not coming to grips with immigration is how the current illegal population, and those who continue to flood across our borders, are affecting those who are elected to lead this country. First, is the revelation that as many as 3% of the participants in general elections are not legal to vote. The United States census, taken every 10 years, counts every person regardless of immigration status. The end result is both legal and illegal residents greatly affect the political landscape, because they are all included in the census. As a matter of record, most have voted liberal in past elections. John Kasich’s views on immigration do address some of the concerns. If for whatever reason, he were to ascend to the Oval Office, his more liberal positions only hasten the political shift to the left, a demographic his Party is attempting to avert. 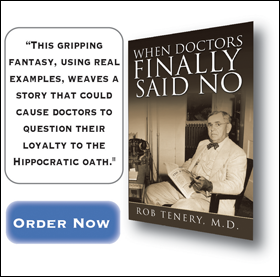 *Tenery, R.M., One Election Away from a Possible Constitutional Convention, Diagnosis for Democracy, October, 2015. ** The D.C. Gazette reported that George Soros’ organization that funds political candidates has donated $202,700 to John Kasich’s Presidential campaign. Soros has also reportedly pledged $13 million to help Hillary Clinton and other Democratic candidates this year.